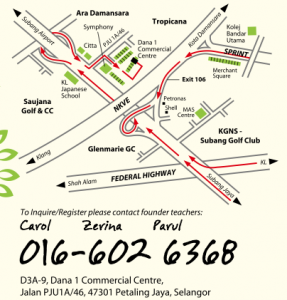 This is a 2-Day Workshop by Iyengar yoga teacher Ann Barros (from USA), assisted by teachers from Treyoga in Kota Damansara. Please contact Carol on 016-602 6368 or email your enquiry/confirmation to treyoga@gmail.com. Places on a first come first served basis. There will be a core Sun Salutation practice which will incorpore some yoga signature poses with modifications tailored to your ability. You will learn to develop strength and flexibility and can take the practice home to enhance your other current regime. Journey Within Studio will be conducting Pre-natal Yoga and Yoga for Pre-conception starting 2011. Prenatal Yoga consists of yoga, breathing and meditation practices to encourage stress-free pregnancy, balancing emotion and easing discomfort during pregnancy. At the same time, it is important to cultivate body awareness so that you will feel confident about what’s happening in your body. Course Objective: Students will be introduced to teachings of Yoga and equipped with the required competencies to teach. Upon successful completion of this training, students will qualify for the RYT 200 Yoga Alliance Certification which is recognizable internationally. For the course structure, refer to Yoga Alliance website. The breakdowns of hours in this Yoga Teacher Training Course (TTC) course is as per stipulated below. 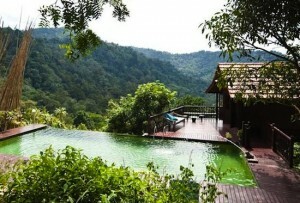 Immerse yourself in nature and yoga at this weekend retreat, nestled on the edge of an exotic virgin rainforest. Be transported back to when things were simple and uncomplicated, when rivers and streams flowed instead of roads and highways, when trees towered the landscapes instead of buildings, and when crisp fresh air greeted the nostrils each time you inhaled. Do yoga amidst a beautiful jungle backdrop, take peaceful nature walks within the pristine rainforest, plunge into sparkling pools and magical waterfalls, and relax in comfortable and uniquely tasteful surroundings…. you won’t believe this gem of a place is only an hour away from Kuala Lumpur. *RM100 unrefundable deposit required to book a space. Hurry! 15 spaces available ONLY. 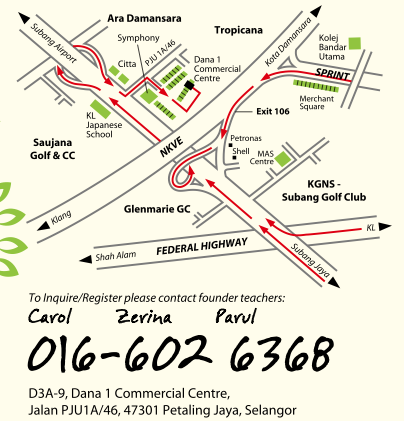 For bookings or further information, please contact Hui at yogahuikl@gmail.com or 012-224 2118. Journey Within Studio will be conducting Iyengar Yoga workshop on 09 Jan 2011, 15 Jan 2011 and 16 Jan 2011. The Strand, Kota Damansara, 47810 P.J.